For simple parties of two to a gala event for over five hundred guests, nothing tops a Miami yacht charter or Fort Lauderdale yacht charter along the South Florida waterways. There’s no finer place to entertain your guests than on a luxury yacht charter aboard The Grand Floridian or The Summer Wind Yacht. Charter One hosts a wide array of South Florida yacht charters, each catered to the individual needs of our clients. 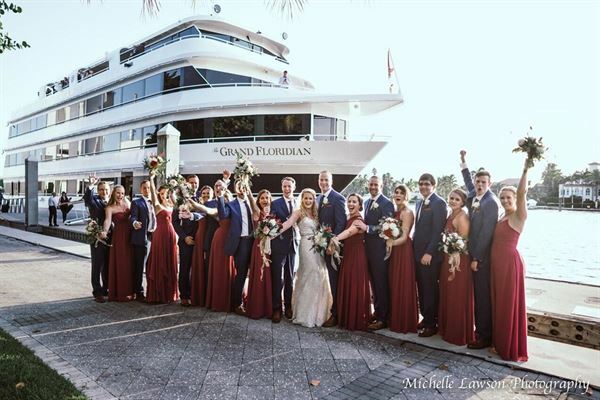 The Summer Wind is perfect for small to medium functions, while our extraordinarily luxurious vessels, The Grand Floridian and Floridian Princess, provide the ultimate experience for accommodating up to 550 guests. Charter One has multiple solutions to host your event at sea, regardless of size or celebration. Everything from business meetings to Social and themed events are taken to new heights on a luxury yacht charter, as our vessels are the most unique event venues available in Fort Lauderdale, and the surrounding South Florida areas. Any and all types of celebrations, events and parties are welcome at Charter One. From the finest luxury yachts, to the specialized service and super-attentive staff, there isn’t a better venue available. Whether you’re in Miami or West Palm Beach, we’re ready to give you, and your guests, an experience of a lifetime. You name the menu, the drinks, the entertainment, the decor and the date – we’ll make sure it’s perfect. Contact us today for more information on how we can make your next big event or celebration unforgettable by hosting it on a luxury yacht charter.